John F. Kennedy, 1917 - 1963. This bust was first installed in 1965 in Military Park, Newark, New Jersey. 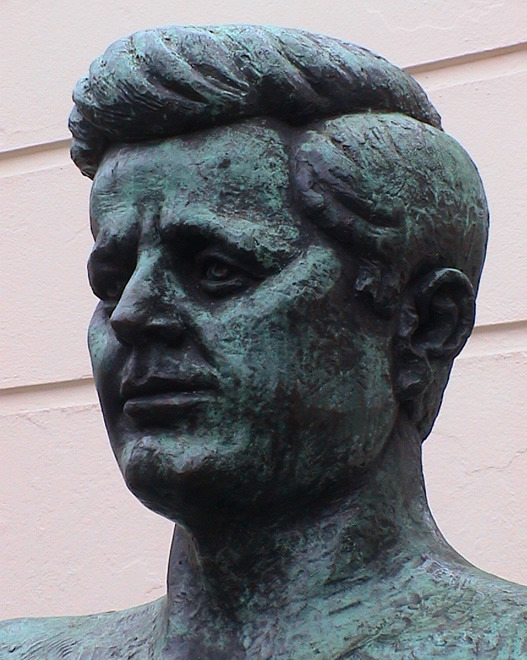 Additional bronzes were cast for this site and for the Kennedy Memorial Library, Cambridge, Massachusetts. Unveiled by Robert Kennedy. 21 August 2017: The Telegraph reported that the bust had been vandalised and thus had been removed for conservation work. We thank Eddie Sullivan for first spotting that the bust had gone and then for finding this explanation. We look forward to hearing about its return. The hostel was built in 1965.